As someone who loves making things around my home, you have to know that I live in home improvement and craft stores. I’m in there at least once a week. You also have to know that I scour magazines and online tutorials for inspiration for my next project. Lately, I’ve been working on bigger projects around my home which take up a lot of my time. 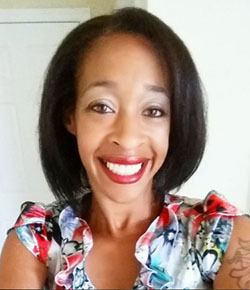 They require a lot of planning and sometimes I get overwhelmed because I plan things out, but when I really get into the thick of it I realize that I may be in over my head. After finishing up the last of my projects and traveling for about a month for the summer I decided not to tackle any big projects for a while. However, I still get an itch to be crafty sometimes. It’s just something about having paint-stained clothes, glue on my fingertips, or sawdust on my shoes that makes me happy. I knew that I wanted to do something, but at first I wasn’t sure what I wanted to make. Everything that came to mind that I was going to be a big project. I finally decided to make a Faux Stained Wood Plaque to add to my collection of inspirational quotes I have around my home. It didn’t require any wood-cutting, strong-smelling stains, or stenciling. It was a pretty easy project! To get started on my project, I pulled up the new Joann mobile app! When I first logged in there were tons of other projects that tempted me. I loved how the app shows the skill level and time required to finish each of the projects. I really wanted to try some of them out, but I had to stay focused. Next came my shopping list. I didn’t need that many supplies to complete my mini-project, but I still used the Joann mobile app Shopping List so I wouldn’t forget anything. I was also able to check if there were any coupons available for me to use on my purchase prior to heading out to the store. 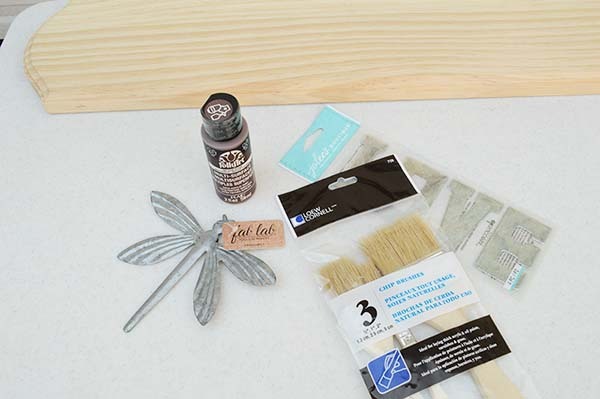 I bought the supplies I needed, which include an unfinished wood plaque, brown acrylic paint, paint brushes, wood glue, and metal embellishments and letters. 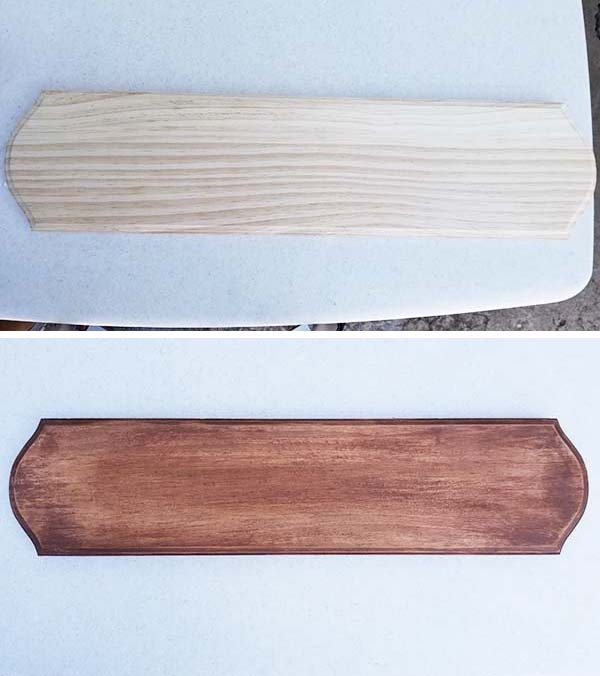 Using the brush, I painted the brown onto the wood and before the paint dried I used a damp rag to wipe off some of the color until it resembled wood stain. I allowed the wood to dry. Using the wood glue, I attached the metal embellishments to the wood and allowed the glue to dry. Once the glue was dry I was able to spray clear sealant onto the wood. I made sure the area was well-ventilated. I was able to share the entire process on the new Joann mobile app in a short video. All I had to do was choose “Create Video Project” and make a selection for each of the sections. The upload was super easy! 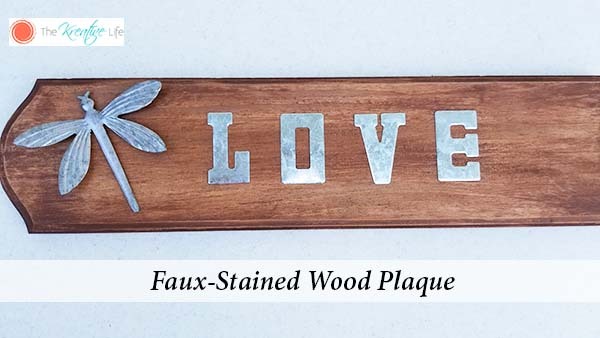 My faux stained wood plaque came out beautifully and thanks to the Joann mobile app, the shopping process was a breeze! 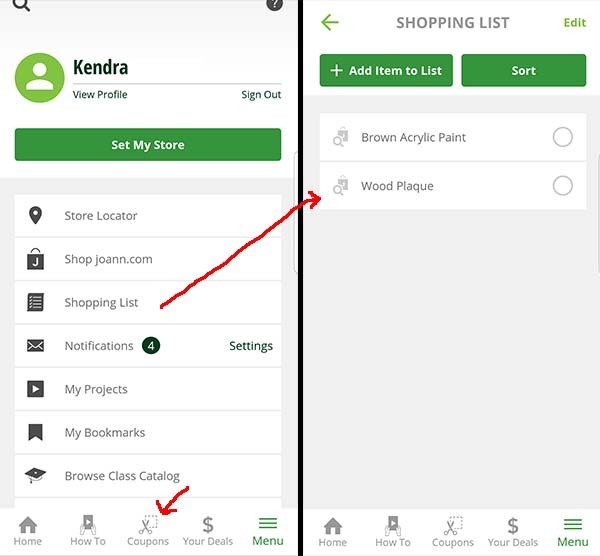 You can download the Joann mobile app through iOS and Android! 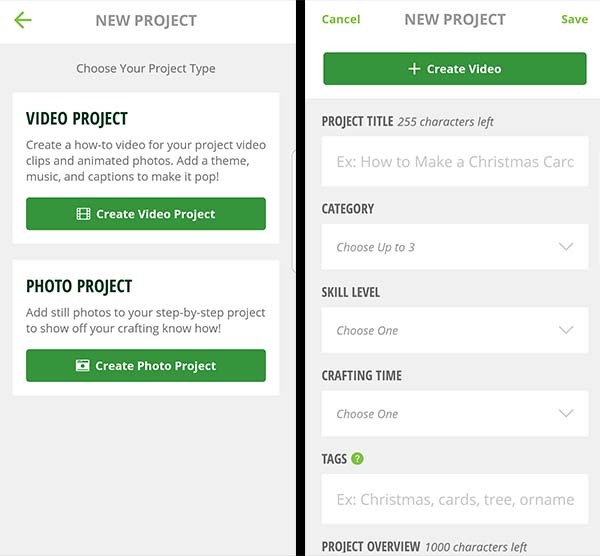 What new projects will you share on the Joann mobile app? I’d love to see you share them on Facebook, Twitter, and Instagram! I just love making fun custom pieces like this. It’s beautiful. I bet you love the end result! Thank you! I love how it came out! I really enjoyed reading this article, it is very interesting. I will definitely use some of these tips, thank you. This DIY project came out amazing! Love shopping at Joann’s too, the app makes it so handy! The app really is awesome! I already have my coupons up when I checkout! What a pretty DIY board. I miss doing DIY projects around the house. When we lived on the farm I did diy projects every day! So much fun, good for the kids too. 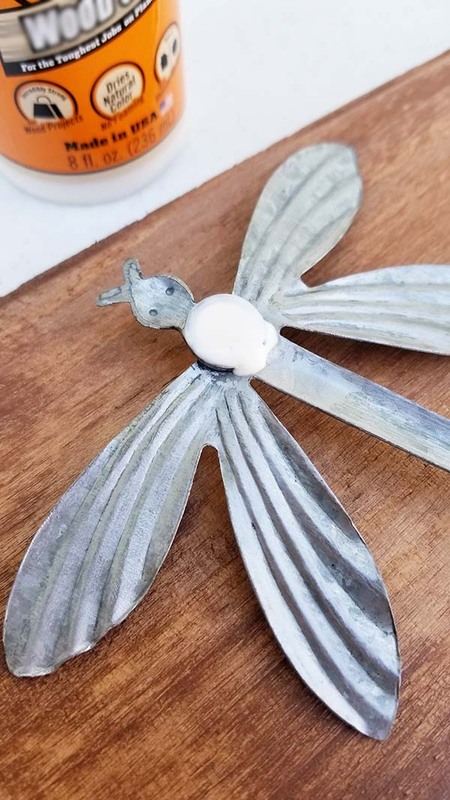 This is a super cute idea, and it looks so easy! I would love to have one of these hanging in my entry-way. I will have to make one this weekend. That is an easy way to add something fun to my mantel. I’ll have to try your DIY! It turned out so cute! I love shopping at Joann’s, but I’ve only used the app for coupons. Love this feature to ensure you don’t forget anything! 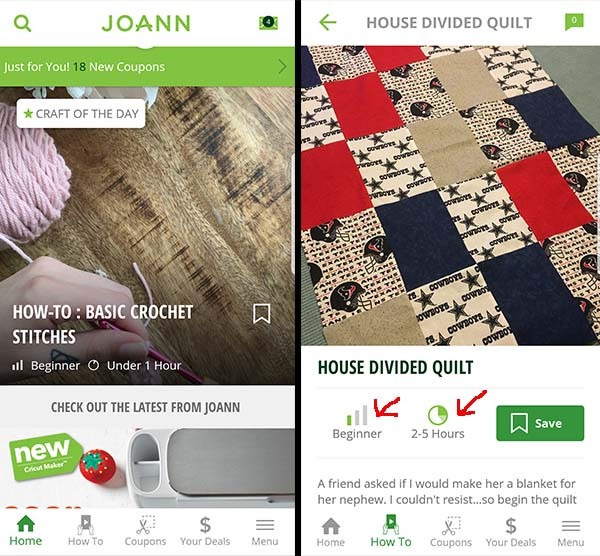 Joann’s mobile app looks like a great tool for DIY crafers. I love the grocery list feature, as well as the option to upload videos on the site too. Fanatstic. I think I would try this app soon! It would be so helpful to engage on these stuff sometimes, it is great to enhance our creativity. This is nice. A great accessory to any home. Love it! What a gorgeous wooden plaque! 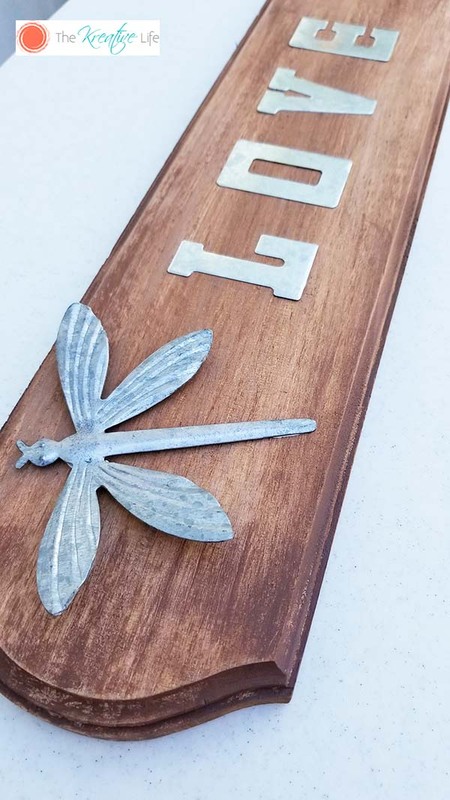 This can be perfect for house numbers too. Thanks for sharing! Really very nice. I loved your work. I have to try this by myself. Thanks a lot for sharing. This is great, my wife is looking to do something like this for our baby room! Guess I will tell her to check out Joann’s app. Thanks! The result is just beautiful. Love it !